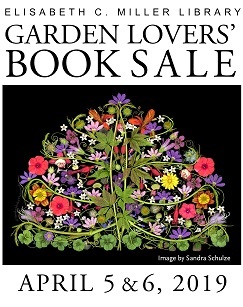 Our most-anticipated event of the year comes this week: the two-day Garden Lovers' Book Sale. Opening Night Party: Friday, April 5, 5 to 8 pm. Wine and dine while shopping for horticultural books and bidding in the silent auction. Tickets are limited and cost $30. To purchase call 206-543-0415 or visit the Miller Library by Wednesday, April 3. Saturday Sale: April 6, 9 am to 3 pm. We offer thousands of gently used books for sale on gardening, plants, ecology and related topics. Free admission and excellent company as you browse for bargains! 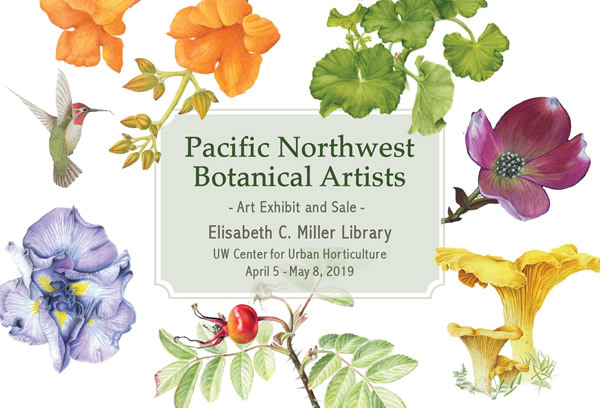 Members of the Pacific Northwest Botanical Artists (our local chapter of the American Society of Botanical Artists) will be showing their work in the library during the month of April and the first week of May. An annual event, this group show will include new work by skilled local artists. Artists will offer framed and unframed prints and cards as well as original watercolor paintings for sale, with a portion of the proceeds to benefit the library. Help! What can I plant under a huge Western red cedar? Q: I have a large Western red cedar (Thuja plicata ) under which grow a few weeds but not much else. I would like to find a low maintenance solution for the ground that won't do any harm to it. Ground cover? Pea gravel? I worry that the shallow root system can be easily smothered so that adding soil and plants is not a good idea, plus the roots are a dense mat and difficult to dig through. Do you have any ideas or suggestions? A: As you've realized, Western red cedars have a dense mat of roots close to the surface. It's not a good idea to add soil on top of the roots of trees because their root flare should remain above the soil -- and even if you did, the roots of cedars would spread into that soil in a short period of time. It's also important to keep in mind that under natural conditions the ground beneath Thuja plicata is usually bare of other plants. If the area beneath your tree isn't in deep shade and has at least some sun, you could plant spring ephemerals, including bulbs. They emerge in spring when the soil has plenty of moisture, then most die back before our summer droughts. They're not difficult to plant under large trees because you don't need to dig a large hole for seeds, bulbs, or small bare-root perennials. Good choices are Anemone blanda, Aquilegia (Columbine), Corydalis lutea, Crocus, Galanthus (snowdrops), Iris reticulata, and various kinds of Narcissus, including daffodils. Most tulips are not long-lived in our area. Hardy Cyclamen emerge and flower at other times of the year, but they're also an excellent choice. Unfortunately, most of these plants are summer-dormant, when you'll probably be out in your garden, and some self-seed prolifically under ideal conditions. 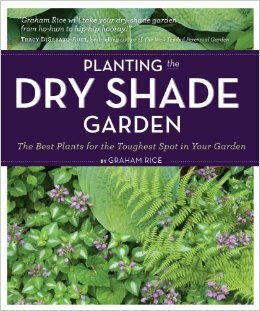 A valuable resource, available for checkout at the Miller Library, is Planting the Dry Shade Garden, by Graham Rice (2011). Some of the plants he recommends will require regular watering under cedars. Editor's note: this is an excerpt. Read the full question and answer, including Corinne's native plant and container-gardening ideas, in our Gardening Answers Knowledgebase. The Miller Library is open for browsing and research 49 hours each week. You'll find our hours and information for visitors on our website.